J.M. Snyder » Start reading Not Another One Hit Wonder today! Start reading Not Another One Hit Wonder today! 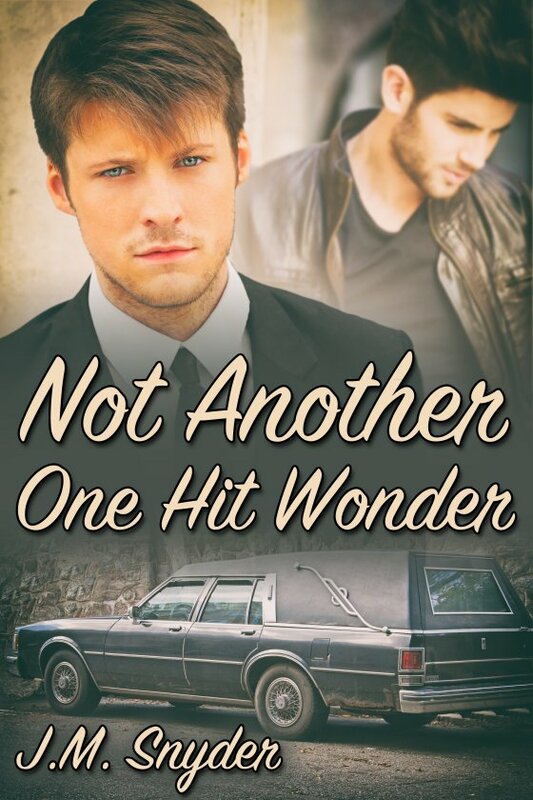 My latest novel, Not Another One Hit Wonder, is now available! When best friends Jamie Eckert and Derek Duran realized they were in love, they took their relationship to the next level. But then Derek’s budding music career took off, and so did Derek. Twenty years later, Jamie still lives in the small town of Ashbury, Virginia, where he grew up. He’s grown up and moved on — now he owns the family funeral home business and is raising Riley, his precocious six-year-old adopted daughter. But emotions Jamie thought long buried are stirred up again when he gets an early morning removal call. The deceased is Derek’s mother and Riley’s babysitter, Mrs. Duran. Now Derek’s back in town for the funeral, and he turns to Jamie for support … in more ways than one. Angry at Derek for not keeping in touch, and angrier at himself for still loving the man who left him behind, Jamie is torn between his professional duty and his feelings for Derek. Will he be able to put aside his past with Derek to carry out Mrs. Duran’s final wishes? Or is Derek interested in rekindling their relationship after all this time?